One Ubisoft title that’s still scheduled for this fall is Assassin’s Creed IV: Black Flag. In the latest story trailer we’re briefly introduced to a few of protagonist Edward Kenway’s roguish compatriots. As always, some sort of betrayal seems inevitable, and there’s even talk of legendary treasure. But even though the upcoming entry in the franchise revolves around pirates, the story still hinges on the constant war between Assassins and Templars. 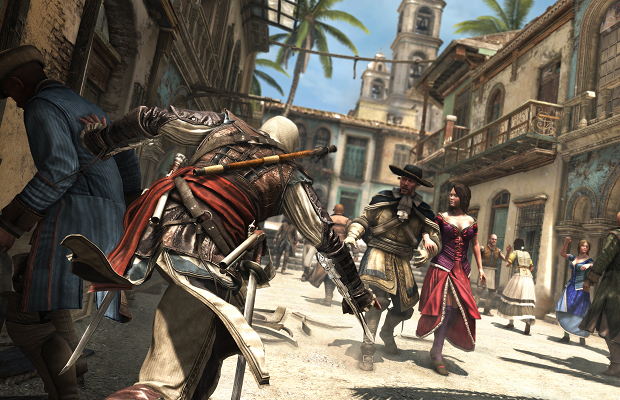 Assassin’s Creed IV: Black Flag is scheduled to launch throughout October and November for absolutely everything.